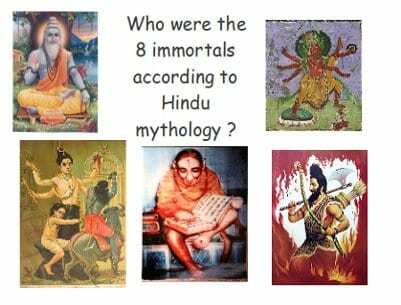 Who were the eight immortals according to hindu mythology ? There have been many great warriors, saints, gods etc. in the Hindu mythology. 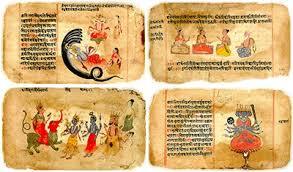 According to the various Indian traditions and stories there are eight immortals who walk on this Earth. I present what i found after my research. 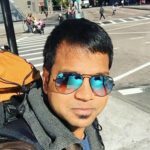 Each person listed here has a very unique story why they are still alive. We’ll go through each one of them one by one. Bali, an asura, was the son of Devamba and Virochana. He grew up under the tutelage of his grandfather, Prahlada, who instilled in him a strong sense of righteousness and devotion. Bali would eventually succeed his grandfather as the king of the Asuras, and his reign over the realm was characterized by peace and prosperity. He would later expand his realm – bringing the entire world under his benevolent rule – and was even able to conquer the underworld and Heaven, which he wrested from Indra and the Devas. The Devas, after their defeat at the hands of Bali, approached their patron Vishnu and entreated him to restore their lordship over Heaven. In Heaven, Bali, on the advice of his guru and advisor, Sukracharya, had begun the Ashwamedha Yaga so as to maintain his rule over the three worlds. Vishnu, meanwhile, had adopted the avatar of Vamana, a small Brahmin boy, and, during the rite, approached Bali and requested a grant of land – although only as much land as he could cover with three paces. Despite the warnings of his advisor, Bali granted this boon. Vamana then grew to an immense size, and, with his first pace, traversed the all of the earth and the underworld. With his second pace, he covered Heaven in its entirety. Admitting defeat, and seeing that Vamana has no more room for his last step, Bali offered his own head as a stepping-stone. Bali was thus banished to the underworld. Due to his selfless devotion and unwavering dharma, however, he was granted permission to visit his subjects once every year. In the state of Kerala, the Onam festival is a celebration of the visit of Mahabali or Maveli (local name of Bali) to their land. The Nepali version of Diwali has many connections to Bali, the song and dance festival of duesey and bhailoram during Diwali is believed to have been started by Bali. On Bali Pratipada day of Diwali, Bali is worshipped in Maharashtra, Karnataka and Tamil Nadu. One legend relates the story of how Shiva protected Markandeya from the clutches of death. Mrikandu rishi and his wife Marudmati worshipped Shiva and sought from him the boon of begetting a son. As a result he was given the choice of either a gifted son, but with a short life on earth or a child of low intelligence but with a long life. Mrikandu rishi chose the former, and was blessed with Markandeya, an exemplary son, destined to die at the age of 16. Markandeya grew up to be a great devotee of Shiva and on the day of his destined death he continued his worship of Shiva in his form of Shivalingam. The messengers of Yama, the god of death were unable to take away his life because of his great devotion and continual worship of Shiva. Yama then came himself in person to take Markandeya’s life away and sprung his noose around the young sage’s neck. By accident of fate the noose mistakenly landed around the Shivalingam, and out of it, Shiva emerged in all his fury attacking Yama for his act of aggression. After defeating Yama in battle to the point of death, Shiva then revived him, under the condition that the devout youth would live forever. For this act, Shiva was thereafter known also as Kaalakalaya, meaning ‘one who brought death, to death himself’. Parashurama (Sanskrit: परशुराम, Paraśurāma), is the sixth avatar of Vishnu and belongs to the Treta yuga, and is the son of a Brahmin father Jamadagni and a Kshatriya mother Renuka. He received an axe after undertaking a terrible penance to please Shiva, from whom he learned the methods of warfare and other skills. He fought back the advancing seas thus saving the lands of Konkan and Malabar. The coastal area of Kerala State along with the Konkan region, which is the coastal region of Karnataka, Goa and Maharashtra States, is also sometimes called Parashurama Kshetra (Parashurama’s country). Parashurama is said to be a Brahmakshatriya (“warrior Brahman”), the first warrior saint. The Kalki Purana states Parashurama will be the martial guru of Sri Kalki, the 10th and final avatar of Lord Vishnu. It is he who instructs Kalki to perform a long penance to Shiva to receive celestial weaponry. Vibhishana ( Tamil: விபீடணன்; Sanskrit: विभीषण) or Bibhishan is a character in the epic Ramayana. He was the younger brother of the demon Ravana. Though a half-demon himself, Vibhishana was of a noble character and advised Ravana, who kidnapped and abducted Sita, to return her to her husband Rama in an orderly fashion (promptly). When his brother did not listen to his advice, Vibhishana joined Rama’s army. Later, when Rama defeated Ravana, Rama crowned Vibhishana as the king of Lanka. In the Sri Lankan Buddhist tradition, Vibhishana was one of the Gods of the Four Warrants (satara varam deviyo) until the Kotte period. According to the Ravana Katha of Wickramasinghe Adigar, after the defeat of Ravana, Vibhishana transferred the Yaksha capital from Alakamandawa to Kelaniya. In the 15th century poem of Totagamuwe Sri Rahula, the sælalihini sandesaya, the Myna is ordered to carry the missive to Vibhishana at his temple in Kelaniya. After the 16th century he was replaced as a God of the four warrants by the goddess Pattini. He continues to be worshipped by a diminishing number of adherents, mainly in the Kelaniya area. After the war between Ram and Ravan, and after reigning for several years, the time arrived for Rama to depart to his heavenly abode. Many of Rama’s entourage, including Sugriva, decided to depart with him. Hanuman, however, requested to remain on earth as long as Rama’s name was venerated by people. Sita accorded Hanuman that desire, and granted that his image would be installed at various public places, so he could listen to people chanting Rama’s name. He is one of the immortals of Hinduism. There have been numerous prophets who claimed to have seen Hanuman in modern times, notably Madhvacharya (13 Century A.D.), Tulsidas (16th century), Sri Ramdas Swami (17th century) and Raghavendra Swami (17th century), Swami Ramdas (20th century) and Sri Sathya Sai Baba (20th century). He fought in the great battle of Kurukshetra for the Kaurava side. Afterwards, he was appointed to be the teacher and preceptor of Parikshit, the grandson of Arjuna. As noted, he is one of the seven Chiranjivin (the “immortals” who are to remain alive throughout the present age, the Kali Yuga). Bhishma strove hard throughout his life to protect Hastinapur in his quest of finding the legal heir of Sathyavati’s clan. Bhishma entrusted on Krishna this responsibility of finding the next heir of Sathyavati’s family and to continue the lineage of the Pandavas. Although, after Duryodhana’s defeat it appeared that Hastinapur was now safe, as it was clear that Yudhishthira was the next king of Hastinapur, Ashwatthama’s action brought an end to the Pandava line. 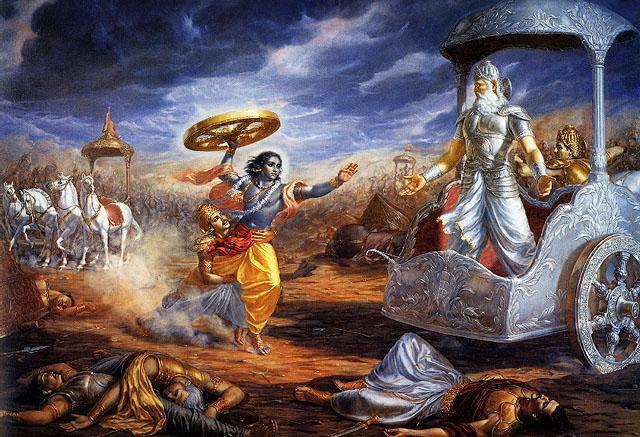 Lord Krishna then placed a curse on Ashwatthama that “he will carry the burden of all people’s sins on his shoulders and will roam alone like a ghost without getting any love and courtesy till the end of Kaliyuga. He will have neither any hospitality nor any accommodation; He will be in total isolation from mankind and society; His body will suffer from a host of incurable diseases forming sores and ulcers that would never heal”. 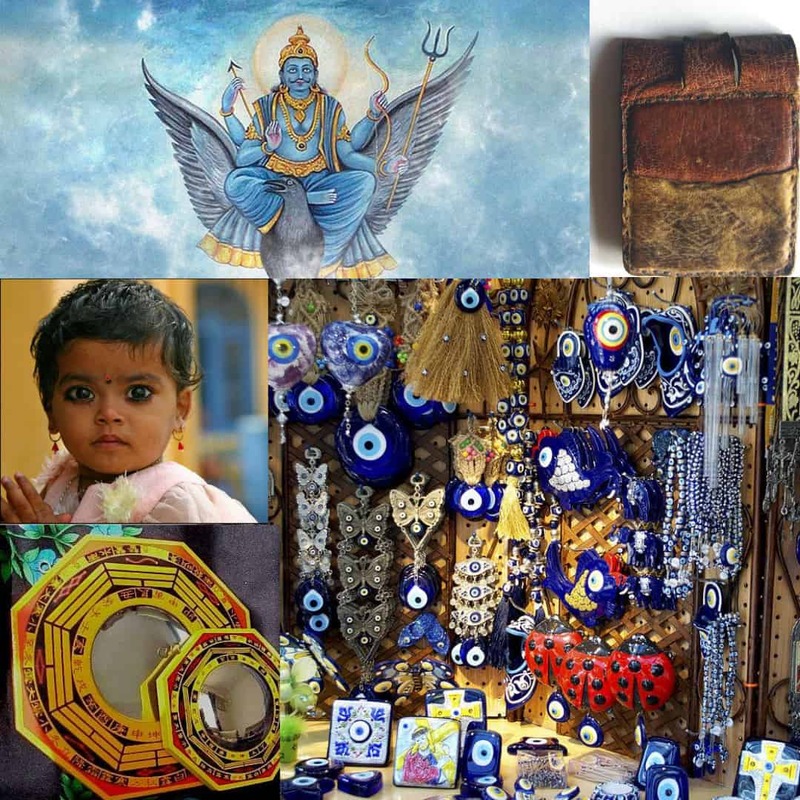 Ashwatthama had a Gem which was similar to Shamantakamani on his forehead which used to protect the wearer from any diseases, weapons, snake bites, attack from demigods and attacks from demon. So, Ashwatthama was asked to surrender this Gem. Krishna further states that “the wound caused by the removal of this Gem on his forehead will never heal; The blood will always ooze out (come out) from it forming puss with foul smell and thereby causing lots of pain to him till the end of Kaliyuga”. Thus, Ashwatthama will suffer to such an extent that he will be in search of death every moment, and yet he will never die. There are various reports of sightings by people of a tall, strong, ailing man with a wound on his forehead(Ashwatthama?) begging for medication till today. There are the lucky ones or unluck ones who get to live till the end of time. I don’t know whether these are true or not but many reports have come out that people do saw these at various times. But whatsoever after this post another thought comes to my mind ” What it’s like to be immortal?” Would it end value of life ? . But i guess i am incapable of answering that. May be A real pic ?? “A group of people went to Manas-sarovar for a piligrimage trip. One of the person there is a Upasaka of Hanuman. He was exploring some caves and accidentally bounced upon a being looking like Lord Hanuman. All of them had cameras and this person happend to click the camera and died there for reasons not known. The other persons fished him out and the camera and here is the picture the camera showed. I do not know how much it is true but many people are believing it. It is a fact that Hanuman does exist in flesh and blood because he is a Chiranjeevi”. The real picture of Hanuman .